Note: The entire piece is an original painting with the exception of the small lithograph center which has also been hand embellished by Peter Max. 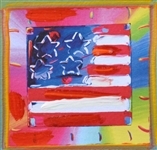 Stamp Peter Max and cataloged on verso for Authenticity. 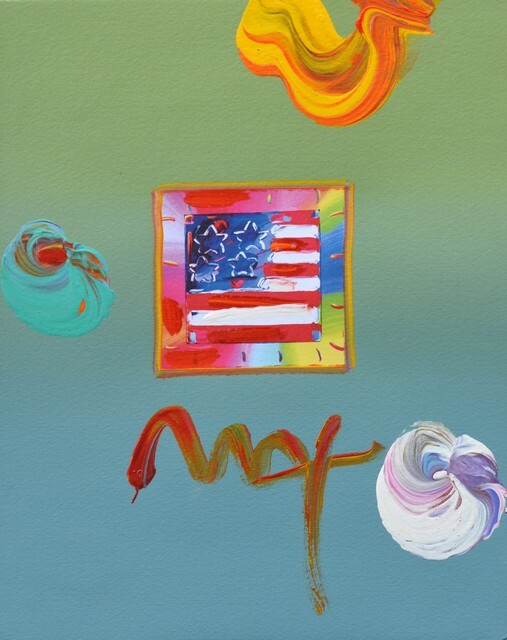 Biography: Peter Max was born in Berlin, but spent the first nine years of his life in China and one year in Tibet. His family then traveled to Africa, Israel, Europe, and finally settled in the United States. In New York Max studied at the Art Students League, Pratt Institute, and the School of Visual Arts. After completing his studies he opened a design studio and in the next few years won more than sixty-five awards for product, fashion, food, book, and poster designs. In 1964 he closed the studio to go into "creative retreat." It was then that he began making the colorful, mind-expanding silkscreens which are his hallmark. After Max's second retreat, from 1972 until 1976, Max "reappeared", with a book of fifty paintings, in honor of each state, dedicated to the Bicentennial. Max has had approximately forty museum shows internationally, set up under the auspices of the Smithsonian Institution, and more than fifty gallery shows worldwide. His works appear in the prominent collections of many museums, including the Museum of Modern Art in New York. 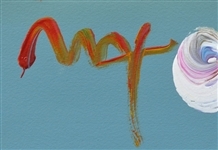 Max’s originals have sold for more than $50,000.00.